When I travel, I don't care so much about the souvenirs at all. It's the priceless things like the memories, the people I encounter, and, of course, the pictures I take that I really treasure. 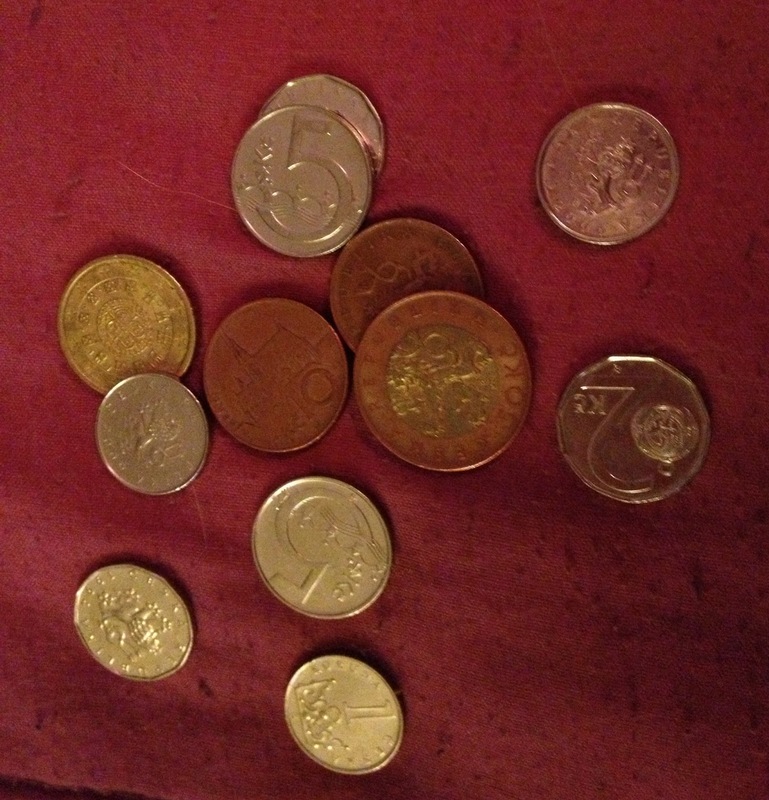 Often times, I will have some leftover foreign coins from my trip and am not quite sure what to do with them. I saw a GENIUS idea on Pinterest, and decided to put the idea to good use. The best part is, this craft took me all of 10 minutes--seriously. 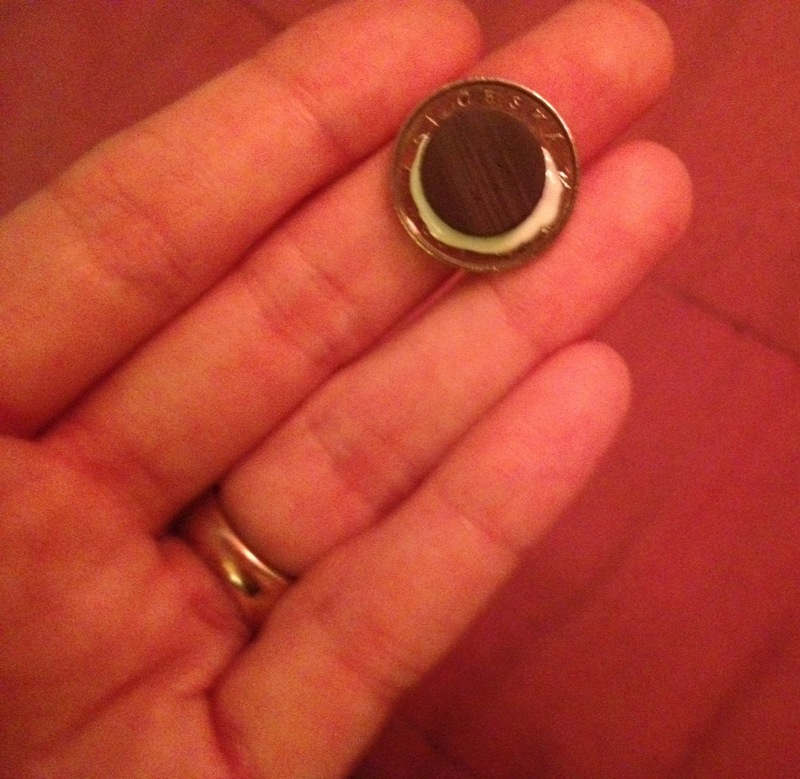 Also, you don't have to travel anywhere to put this good idea to use--you can do it with American coins if you want to! Here is the original idea. 1. 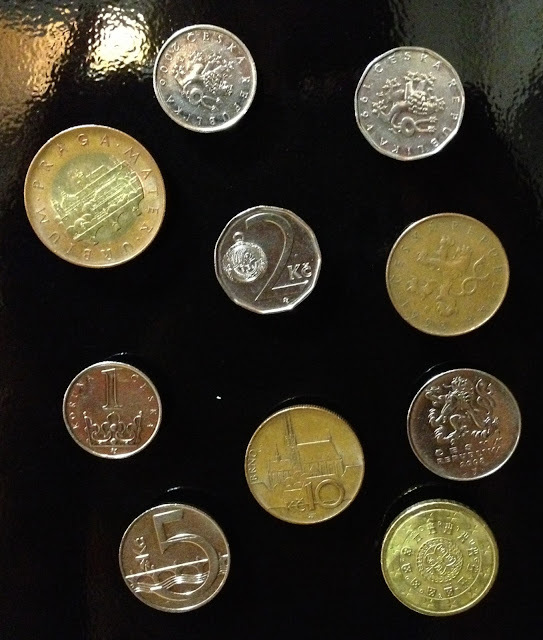 Wash the coins thoroughly with warm, soapy water. I initially forgot this step, and then realized how dirty money can be and flipped out and washed them with the magnets on (HA! Craft fail!). So do this step first, and you will be thanking me later, when your magnets aren't falling off the back of the coins. 2. Dry the coins off well, and put a little dot of glue in the center of the magnet. 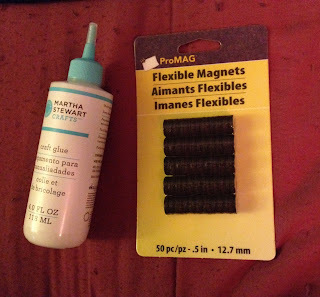 The cool thing about magnets is that they will stick to the coin naturally and hold tightly to make the glue stick even better. 3. Attach the coin to the magnet. Allow the glue to try for about 20 minutes. 4. Repeat for all of the coins. 5. Voila! Instant magnets that you can display, and they make a great conversation piece! The second yummy dish I am "cooking up" for Labor Day is a fruit salad. Sounds pretty simple, but it has a secret ingredient. Choose the fruits you would like for the salad, and then add in the extra special ingredient for a surprise little bang that will keep them coming back for more! Here is the original recipe. 1. Wash all of the fruit. De-stem the grapes and strawberries. Slice the strawberries into fourths. 2. Mix all of the fruit into a large bowl. 3. Sprinkle the vanilla pudding mix over the top of the fruit. 4. Mix the fruit and pudding mix well. Cover and refrigerate to let the juices marinate for 2-3 hours. With the Labor Day holiday tomorrow, I decided to make a few (new) treats. My family is going to be cooking out and enjoying the last warm days of summer, so I thought some snacks would be a perfect addition. This first one is called Neiman Marcus dip (also known as "catch a man" dip! 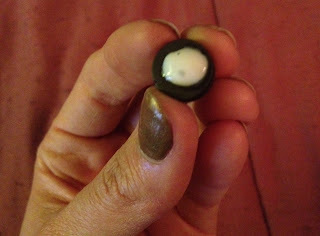 ), and it's pretty tasty. The recipe comes from Pinterest, and this site. It's also only 5 ingredients, and you can whip it up in a jiffy! 1. Wash the green onions and chop them into very small pieces. 2. Mix the green onions, mayonnaise, bacon bits, cheese, and almonds together until well blended. 3. Refrigerate for approximately 2-3 hours to allow flavors to combine. Serve with chips or crackers.